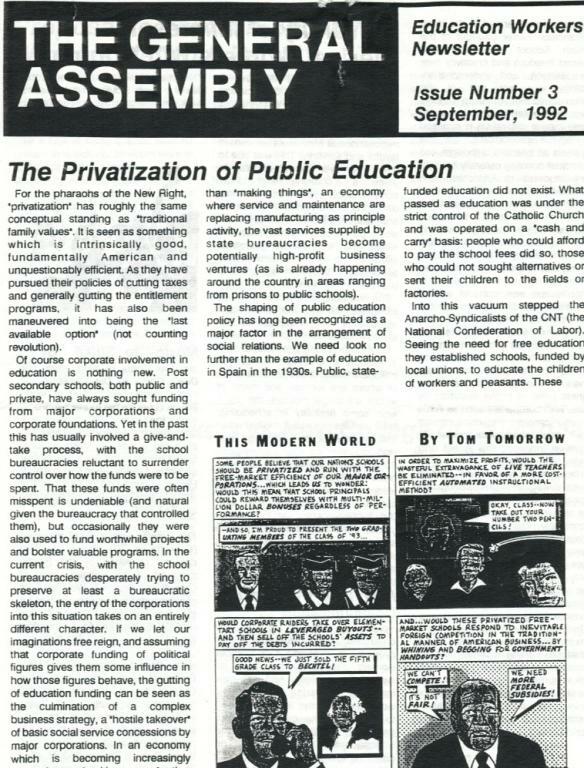 "The General Assembly is a newsletter produced for and by education workers. It is our desire to establish a network of people employed in the education system." - Ed workers vs. New College of CA.